2. Double check, ensure good transfer effect. 3. Labor-saving, only two people. 10. Multi-function: roll and sheet materials etc. 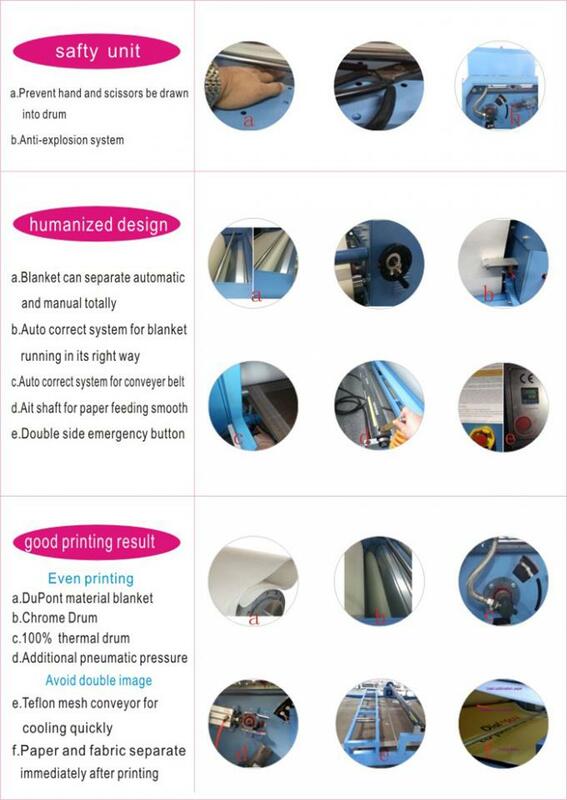 Paper is more and more tight,Saving labor,high overall efficiency. 4.Machine use independent mutil-functional workbench. To prevent deviate blanket at work. 6.Heat Pipe and heat transfer oil imports. 9.Pneumatic pressure,The pressure can be flexible control. You will need printer,sublimation ink and paper to print the pictures you want. 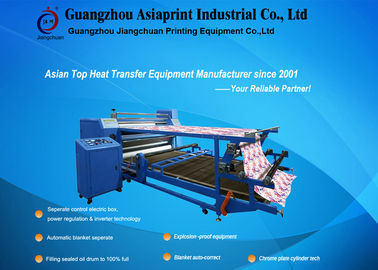 And then our machine transfer the pictures from paper to textile. We make sure that every machine sold from our company is with the best quality we can provide.